If Thursday was a slow day in the NBA, and it was, you can rest assured that Friday is roaring into life. 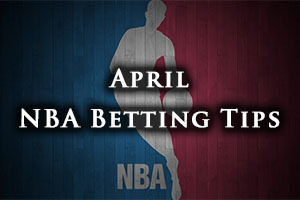 There are plenty of great games taking place in the NBA at the start of the weekend and we will preview three of the hottest games on offer. First of all though, on Thursday night, the Heat fell at home, defeated by the Bulls who grabbed an impressive 78-89 win in Miami. There was also a win for the Warriors, who welcomed the Portland Trail Blazers and then gave them a good going over, with the team from Golden State winning 116-105. The Raptors have been developing a great reputation for their defence, and they will need to be on form in Orlando. The Magic haven’t been one of the strongest teams this campaign but they have shown decent form of late and they are now on the brink of a four game winning streak for the first time in four years. This could be a chance for the Orlando side to finally get a slice of luck against the Raptors, something which they haven’t had in recent times. In fact, the Canadian side are looking for their 11th win in a row against the Magic on Friday night. The Raptors performed very well on Wednesday night against the Hornets, winning 74-92 in Charlotte. With Kyle Lowry still expected to be out, he has missed 9 of the last 10 games with back spasms, the Raptors will need to dig deep in this one. The Raptors have a 46-32 record at the moment and this includes a 20-18 record on the road. In their last five games, the Raptors have served up a patch 5-5 record. The Magic hold a 25-53 record at the moment and this includes a poor 13-26 record at home. In their last 10 games, the Magic hold a 4-6 record. With respect to points for, the Raptors lead 104.3 to 96.0 and with respect to points against, the team from Toronto has a much narrower lead, sitting 101.2 to 101.7. Taking the Toronto Raptors with a -5.5 handicap, at odds of 1.90, should be a sound bet for your Friday night NBA action. Bet Now! The Pacers are still in with a chance of a playoff spot but if they are going to make their way beyond the Pistons, they will have to call on their offense. This was the difference between the two sides when they last met and it may well be the same again this time around. The Pacers are still up against it in the run-in to this one but they can take heart from a good 102-86 win against the Knicks on Wednesday night. The Knicks may be weak this season, but it was a good way for the Pacers to get back to winning ways and they will be looking to build on this result on Friday. The Pacers hold a 35-43 record, which includes a 14-25 record on the road. They have a 5-5 record in their last 10 outings. The Pistons hold a 30-48 record so far this campaign and this includes a 17-22 record at home. In their last 10 games, the Pistons have a 6-4 record. With respect to average points scored, the Pistons lead 98.1 to 97.1 and for average points against, the Pacers have an advantage of 96.9 to 99.7. Taking the Pacers with a -5 handicap, at odds of 1.90, could well be an interesting bet for Friday. Bet Now! This is a game between two teams who are pretty close in the Southwest Division and the Spurs know that if they can grab a win against the Rockets, they will jump past their opponents and find themselves in second place. The Rockets of course clearly don’t want that happen, so this is a game with plenty of stake for both sides. The team from San Antonio are looking to collect their 10th win in a row and they are also looking to make it three in a row in this series although the players may be slightly tired. This game will be their third in four days and this could be something that the Rockets are able to exploit. Tony Parker was in tremendous form on Wednesday night, grabbing 27 points in total with 13 coming in the opening quarter. Kawhi Leonard also excelled with 20 points which saw the Spurs defeat the Rockets 110-98 on Wednesday night. In their last four games, the Spurs have averaged 113.3 points so they know how to put teams away. However, they may have to do without Parker, or at least without a Parker on top form as he has been feeling his right Achilles tendon of late. The Spurs have a 53-26 record going into this game and this includes a 21-18 record on the road. The 9-1 record in their last 10 games is pretty impressive and the Spurs have found form at the right time of the season. The Rockets hold a 53-25 record so far this campaign and this includes a 28-10 record at home. The 7-3 record in their last 10 games is still pretty impressive for the Rockets and it indicates that this is a game between two teams who have plenty to play for at the moment. Taking the Houston Rockets with a -2.5 handicap, at odds of 1.90, is likely to be a decent bet for Friday night. Bet Now!